ReutersAyatollah Ali Khamenei speaking in Tehran in 2007. Nuclear talks with Iran were extended for seven months this week amid signs Tehran may be moving closer to making a deal, but the country’s supreme leader, Ayatollah Ali Khamenei, hasn’t tempered his fiery rhetoric against the US. In a stream of messages published on his official English-language Twitter account Thursday, Khamenei criticised America for being “ill-mannered” in the nuclear talks. He also invoked the situation in Ferguson, Missouri as proof of the US government “isn’t honest” with its people. Those who threaten IRI should know that #Iran is invincible thanks to Basiji thinking.US gov is arrogant& rapacious;that’s our problem w US. Khamenei also criticised America’s relationship with Israel, which has been a staunch opponent of any nuclear deal with Iran. He said there is a “Zionist network” that controls the “lifeline” of US officials. Khamenei also suggested “blackmail” by this “Zionist network” dictated how American politicians handled the situation in Ferguson. 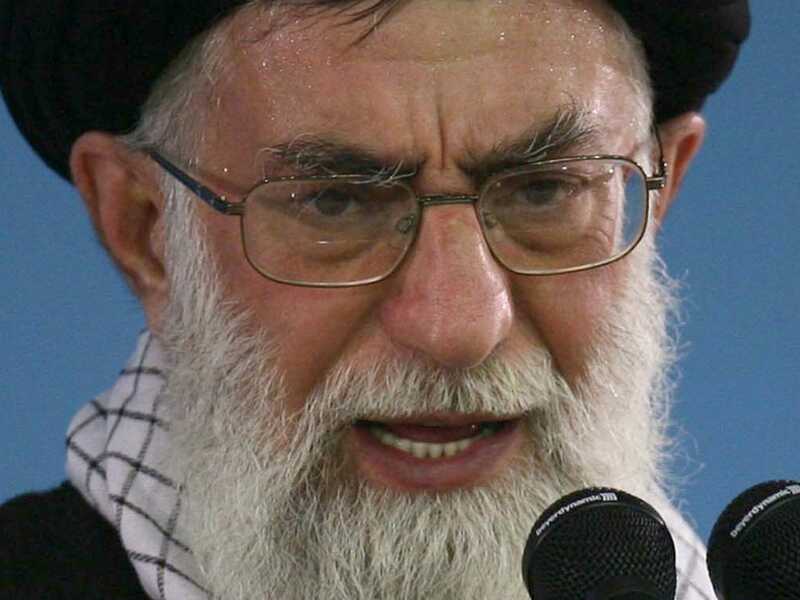 Khamenei referenced letters about the talks the Iranian government received from President Barack Obama. That correspondence reportedly had a positive impact on the talks. Khamenei accused the US of using a “different” tone in the private letters than in public remarks. Analysts have two theories about the inflammatory language Khamenei has used during the nuclear negotiations. While they could indicate Iran will eventually refuse to make a deal, the remarks could also be a sign Khamenei is attempting to build public and official support for an agreement. By publicly attacking the US, Khamenei could be building the impression he did not take a soft stance with Iran’s longtime arch enemy while pursuing the negotiations. Under the current extension, negotiations will continue until June 30, 2015. During this time, Iran’s nuclear program will remain frozen and the current sanctions on the country will not be lifted.